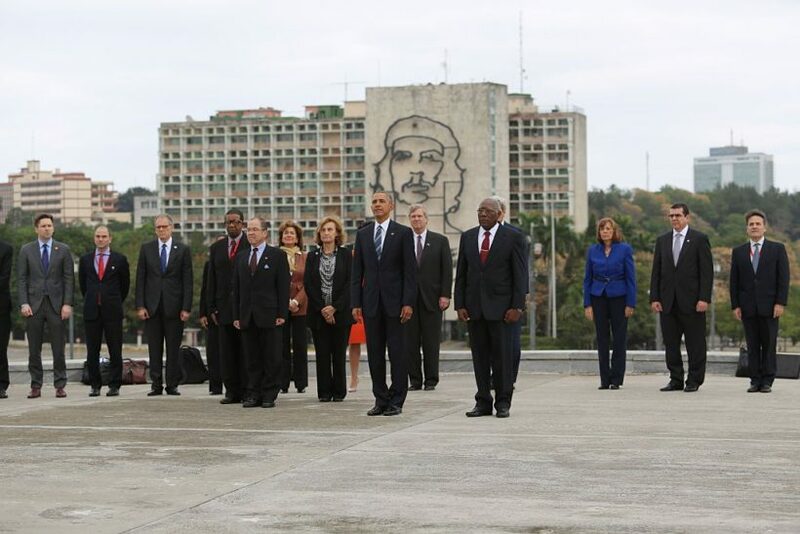 President Obama stands in front of a mural of Che Guevara, the Communist mass-murderer. Reuters reported on March 21, 2016: [During President Obama’s visit to Cuba], responding to a question on political prisoners, Raul Castro angrily demanded to be shown a list of such detainees, reflecting Cuba’s position that it holds no such prisoners. “Give me a list of those political prisoners right now and if the list exists they will be released before the night is through,” Castro said.